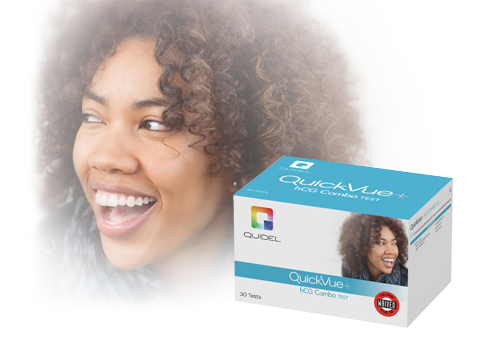 The QuickVue+ hCG Combo Test is a sensitive immunoassay that detects human chorionic gonadotropin (hCG) in serum or urine using a monoclonal antibody specific to the beta subunit of hCG in a single-step technology for the early detection of pregnancy. Clearly distinguishable +/– result and flexible specimen collection options make rapid hCG testing easy. No refrigerator space needed. No need to wait for reagents to warm up. Rapid pregnancy tests can be run immediately as needed.